If you've been in the shrimp community for a while you might have heard of alder cones. These small black pine cone-like tree bits can be very beneficial for your shrimp. But what are they, what do they do and how do you use them? Keep reading for everything you need to know about alder cones and using them in your aquarium. What is an alder cone? Alder cones are the catkins of black alder trees (Alnus glutinosa). These trees naturally occur in Europe but are also an introduced species in many parts of the United Stated and Canada. Alder cones look somewhat like tiny pine cones and turn their typical brown color during Autumn. They contain the alder tree's seeds and can be picked from the tree or collected from the ground. What do alder cones do? After reading that last paragraph you might be wondering what use these little seed boxes could possibly have for aquarists. Well, as you might know, many aquarists go crazy over "leaf litter" and "botanicals". That basically means plant bits, most notably Indian almond leaves. 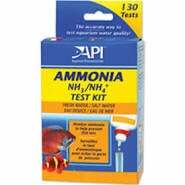 We use these in our aquarium because they are good for our fish and shrimp. Botanicals and leaf litter contain tannins and humins. Tannins are naturally antibacterial and antifungal, which means any product containing them helps protect livestock. As the name suggests they also stain the water anywhere between yellow and very dark brown depending on the amount that is released. Humins are beneficial for plant growth and lower your pH. Both help imitate the natural habitats of fish that naturally occur in blackwater rivers, which stimulates spawning and reduces stress. Alder cones happen to be particularly rich in tannins and humins. Even a small amount of alder cones can give the aquarium water a nice natural stained look and offer all the benefits discussed above. So, alder cones have natural antibacterial and antifungal properties. This already makes them a great addition to consider for your shrimp tank(s), but there is more. The cones are also appreciated as foraging grounds, as they offer a great place for biofilm to grow and can be eaten by the shrimp when they start to break down. They also make great hiding places for fry and help to gently lower pH if needed. All in all, shrimp just love alder cones. If you use them in your tank expect some shrimp on there at all times! Alder cones are not difficult to use at all. In fact, it can be as easy as buying a bunch and tossing them into your tank! That being said, most aquarists like to soak the cones beforehand, as they do float at first and can take a while before becoming waterlogged and sinking. If you don't want to buy your alder cones you can also head outside and hunt for some yourself. Alder trees are very common in Europe but you should also be able to find them in some parks in the US and Canada. Look for trees that aren't too close to any large roads and just pick the black cones off the ground or branches. Take them home, give them a short boil or bleach bath to clean off any nastiness and they should be good to go! Keep in mind that alder cones can be quite potent; don't drop a few handfuls in there at once. Try starting with one cone per 5 gallons. Wait a bit to see what happens and then work your way up from there if desired. The cones leach tannins for about a month, after which you can replace them or just leave them in for the shrimp to munch on. If, for any reason, you want the beneficial effects of alder cones but don't want the actual things in your tank, there are still a few options. You can boil your alder cones in a pot of water to create a potent alder cone extract that can be used in small amounts. Alternatively, if you use a canister filter you can just put the cones in there so they can release their tannins while remaining invisible. If you don't want to go through the hassle of using alder cones at all you can also just buy blackwater extract and go with that. This entry was posted in Leaf Litter, Water Parameters and tagged alder cones shrimp, alder cones aquarium, alder cones, alder cone on August 17, 2017 by Mari. This entry was posted in New Shrimp Keepers Must Reads, Water Parameters on January 15, 2017 by Ryan Curtis. This entry was posted in New Shrimp Keepers Must Reads, Shrimp Health & Care, Water Parameters on January 11, 2017 by MarksShrimpTanks. This entry was posted in New Shrimp Keepers Must Reads, Water Parameters on January 9, 2017 by Ryan Curtis. This entry was posted in New Shrimp Keepers Must Reads, Water Parameters and tagged Water Parameters on January 8, 2017 by Ryan Curtis. Whys is Acclimating shrimp before placing them in their new tank important? 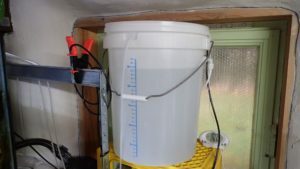 This entry was posted in New Shrimp Keepers Must Reads, Water Parameters, Shrimp Tank Setup on October 4, 2015 by Ryan Curtis.